Precision Screwdriver T4, T5, T6: Precision Screwdriver T4, T5, T6 for Mobile Phone Repairing are tools for assembly and disassembly of mobile cell phones. 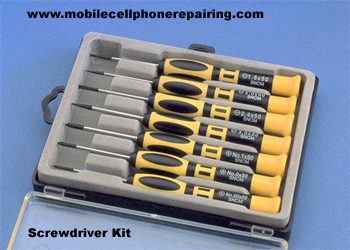 Most mobile cell phones can be disassembled (opened) and assembled (closed) using T4, T5, T6 screwdrivers. Precision Screwdriver is a set or pack of all essential screwdrivers and other tools required for mobile cell phone repairing. This kit can include T4, T5, T6 and few other precision screwdrivers. These are generally Philips screwdrivers. The mobile phone repairing tool kit can also include few other tools like – mobile phone opener, soldering iron, solder wire, cutter, point cutter, noise cutter, tweezers, esd brush for cleaning etc. These screwdrivers and kits are easily available in stores and online sites like eBay and Amazon. The Best Manufacturer, exporter and supplier of Precision Screwdrivers and screwdriver sets is Aven Tool.